The General Data Protection Regulation takes effect on 25 May 2018, enforcing one of the most significant data privacy laws ever within Europe. Nonetheless, the regulation also impacts companies outside of Europe that gather data from European citizens, and with its strict conditions about consent, companies worldwide need to reconsider how they generate leads from within the European Union. In short, the GDPR aims to give control back to citizens over their personal data and to simplify the regulatory environment for international business by unifying the regulation within the EU. These rights are meant to create a better digital environment and security for Internet users. The regulation calls out for more transparency and honesty of companies when processing privacy data, with fines up to 4% of annual global turnover for failing to comply. One of the primary changes the GDPR brings is the strengthened conditions for consent. When the GDPR takes effect you will no longer be allowed to contact any of your contacts with promotional material if they didn’t give their contact details with a ‘freely given, informed, and unambiguous’ way, with a ‘clear affirmative action’. The regulation also applies back in time, meaning your current contacts need to comply with this. Meaning, you need to audit all of your current email contacts and make sure you gained them through methods complying with the GDPR. Yes, the contacts you worked so hard to get a year ago, or three years ago, you might have to let go after the 25th of May. Well, there is still time to try to save your contacts by refreshing your consent. I know what you’re thinking, why should your leads want to refresh their consent? Because you will give them a reason to. You can create value for them through interactive content. Below are five ways you can offer a personalised interactive experience, worth filling out a lead form (according to GDPR standards!) for your current contacts. Now get going, and save those contacts! Go through your contacts and find out which did not fulfil the conditions of the new regulations. If you don’t know how you generated your contacts, or are unsure about anything, don’t take any chances and categorise them as ‘not compliant’. Until the 25th of May, you can send emails to those contacts that did ‘not comply’ with the GDPR methods and try to refresh their consent. After creating a couple of interactive content experiences you can send out your first mail. You will track who opened your mail, and who clicked on the link to the interactive experiences. Now you filter out the ones who did not open the mail at all and send them another mail in a couple of days time. Filter out the ones who opened the mail and did not click on the link and send them another mail with a different interactive experience in a week time. This you can repeat until 25 May and try to save as many contacts as possible. Quizzes are a great way to generate leads, or, in this case, to refresh consent to your leads. People love to test themselves, whether it’s through a knowledge quiz, where the individual’s knowledge on a particular topic is evaluated, where topics can vary from industry news, trends, technology, or even lighter topics like annoying industry buzzwords. Or through an educational quiz, where individuals are tested on their knowledge and offered feedback after each question to teach them more about the right answer. If your company sits on valuable knowledge about industry changes (such as GDPR), regulations, rules, or whatever comes in mind, you can change that knowledge into a quiz to educate your contacts further. You can always boost the value by changing the quiz to a contest, offering the chance to win a prize by participating. A skills test is used to analyse an individual’s weaknesses and strengths. It’s used to highlight areas where your company can help its potential clients with feedback. Topics could be related to an individual’s professional skills, reactions to different scenarios or management of specific tasks. Here’s an example: if your business specialises in SEO, you can test your customers on how well they manage SEO on their blog. It reveals to them where they fall short, what they need to improve and provides them with a perspective on where to put their focus. In results, you can offer them your expertise, product or help in the areas they needed the extra assistant. The assessment can help your audience evaluate themselves and provides them valuable custom advice in exchange for filling out a lead form. An Online Assessment asks your customers a set of questions and gives them a score and custom advice on completion of the questionnaire. It’s typically longer than a quiz and gives them customised feedback in the end. The assessment can be about personal factors like knowledge, skills and competencies, or about professional benchmarking like business-unit performance, compliance or technology-readiness. It only takes a few minutes to complete and your leads receive instant gratification of a score. There are many different types of assessments, such as the Industry benchmark assessment, that helps your customers discover how they stack up against their peers in their industry. A great way to make this kind of assessment is by turning any of your existing research studies or industry reports into a questionnaire. There is the Best practice assessment, which will assess to what extent the user follows industry or function best practices. To do this well, you should accompany your score with useful feedback and advice for the user. Then there’s the Technology readiness assessment, with new technologies popping up every day, this assessment tests whether your audience is ready to adapt to relevant new technologies in your industry. The Risk assessment informs your audience what their current risk exposure is, based on their current business practices or documentation. This kind of assessment is popular in the IT security systems industry but can be used many situations. People need to evaluate their risk regarding insuring themselves and making any kind of investment. The personality test plays into peoples curiosity about themselves – a personality test asks the user a set of questions about themselves and then plugs their personal traits, preferences, needs and pain-points to a specific personality type or product solution. You’ve seen plenty of those silly quizzes in your social feed. “Which Game of Thrones character are you?” or “what’s your spirit animal”– they’re all over the internet. And even though you know, it’s click-bait you can’t help yourself. You have to click. Why? Because Personality Tests tap into our curiosity gene. People love to take them and share their results or tag friends on social media. You can use the personality test for more serious topics too. What type of a boss are you? What kind of marketer are you? What type of leader are you? There are many ways to generate email opt-ins with a Personality Test. Place an opt-in form at the end of the test, or require the user to enter their contact details before they see their results. The calculator is one of the most practical interactive tools that offer your customers useful feedback in return for their contact information. The calculator asks users questions about their current setup, situation, needs or expectations, and then gives them a numerical result. This numerical result can be an estimate of savings, price, revenue, pension savings, ROI, risk exposure or anything else – and is calculated based on a custom formula defined by the company. The calculator can help potential customers make better decisions. The great thing about the calculator is that once you’ve created it, the user takes over. The customers insert their information and automatically receive results that help them solve a problem, or make a decision. Calculators are therefore a great way for people to identify a solution without talking to anyone! Relevant: 9 simple steps to build a calculator. The countdown and calendar can count down to something special: it can be a company anniversary, spring, summer, Christmas, or whatever milestone your company is about to encounter. It can even be as simple as sales. It works like this, every hour, or every day until the countdown ends, your leads can go and open a box to find out if he/she win a discount or a prize. The countdown and hourly surprise make great lead generators because people are very attracted to calendars with surprises and countdowns that create excitement for a big event. It’s easy to get people to opt-in to feed their curiosity and for the chance to win something. It’s time to be tactical about the most important part – the lead form. 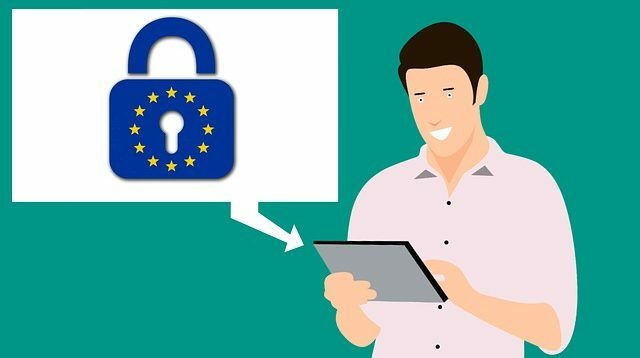 It’s important for you to get permission that complies with the GDPR, so be clear in what the information will be used for and what people are opting-in in for. Preferably offer your leads to opt-in to different options, like a newsletter on marketing, news, or specific products, so they know precisely what they are opting in for. If you’re still in doubt how to comply, have a look at the European Commission’s website. Remember, you only need to ask for email and name here, the more you ask for on a lead form, the less likely your lead is to fill it out. You can work on enriching your leads later; this is mission save-all-your-leads! Now, let’s get down to lead tactics. We recommend adding the opt-in form before the results because when people have gone through the trouble of filling out the quiz, they are eager to find out the results and less more likely to fill out a short lead form. In the assessment, your leads receive personalised results in the end. Therefore you can do two things: add the opt-in form before the results, for the above reasons, or show a part of the result with an opt-in form so that the lead needs to opt-in to unlock the rest of the results. We recommend doing the same as for quizzes; add the opt-in form in before the results appear to play with peoples curiosity. Your leads are more likely to opt-in to see the results after having spent time answering questions. We recommend adding a lead-form in the beginning, or in the end to gate the results fully or partly. We recommend adding the lead form in the beginning because countdowns usually include prizes. Therefore people are more motivated to opt-in. Otherwise, you can add it after people click on a box, to lock the content behind it. This was the second part of series on the GDPR, stay tuned on the blog for more. For more information about GDPR and Dot, have a look at our special GDPR page.